Now, where can you watch amazing shows like Sherlock, Doctor Who, Planet Earth or The Apprentice? Well, BBC iPlayer it is! But the deal-breaker is that it’s only accessible from within UK. But, if you wish to access BBC iPlayer outside of UK, then this is the ultimate guide for you. Yes! This error message will prompt on your screen if you wish to watch BBC iPlayer from abroad. We know that it is painful for many of us, and for your convenience we’ll be sharing the easiest way to watch BBC iPlayer in USA, or from any part of the part. So let’s begin. BBC iPlayer is a heaven for entertainment lovers. You get to watch your favorite shows and dramas for free on BBC iPlayer. BBC has been the proud producer of critically acclaimed TV series and shows for decades. And BBC iPlayer streams all that content for free. Unfortunately, this service is geo-restricted. You can only watch it in the UK. However, a BBC iPlayer VPN can help you break this barrier of geo-restriction and lets you enjoy the unlimited streaming anywhere in the world. A BBC iPlayer VPN simply swaps your original IP address with that of a UK IP address and tricks the BBC iPlayer into thinking that you are accessing the website from UK. Unfortunately, the rumor has it that BBC iPlayer is trying to crack the VPNs and limit the non-UK access. So it is very important to pick the VPN provider carefully to watch BBC iPlayer from outside UK. We have researched endlessly and extracted the best 5 BBC iPlayer VPNs for you. 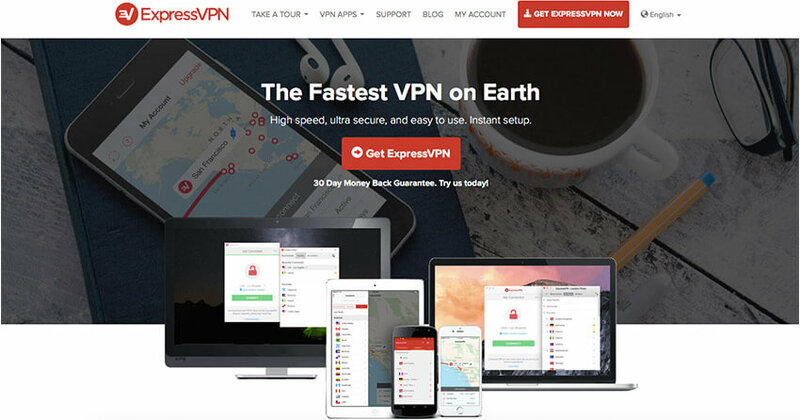 Our editors have reviewed more than 20 VPNs to come up with this list. All the listed VPNs for BBC iPlayer scored well when we tested the speed, compatibility, support, and other features. Watch BBC iPlayer Outside UK – How and When You Need a VPN? In case, you are outside UK for vacation/business purposes or simply a fan of English entertainment, you must be on a lookout for ways to watch BBC iPlayer outside UK. Don’t worry, you are not alone, there are many people like you trying to sneak and access BBC iPlayer. From September 2016, BBC iPlayer requires the viewers to own a TV license in order to watch live streaming or download videos. Fortunately, the website visitors simply have to choose “I have a TV license, watch now” option to continue. For now, BBC iPlayer has no intentions to ask about the license details from users. Also, in September 2016, BBC has confirmed that it has adopted no mass surveillance technique or method to filter the people with no license. 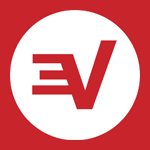 Of course, it is good news that the company is not looking to block the access of unlicensed watchers. In October 2016, some credible sources speculated that BBC has started a crackdown on VPNs to stop unauthorized access outside the UK. However, according to various reports, 60 million people continue using BBC iPlayer VPN to unblock the website. Can I Watch BBC iPlayer in USA? BBC iPlayer is very popular throughout the world. It is a free video content library that has all the content produced by critically acclaimed and popularly loved British Broadcasting Corporation (BBC). Of course, shows like Sherlock, Doctor Who, and Top Gear are witness to the frenzied madness that BBC can create throughout the world. Unfortunately, the programs are available for maximum seven days on BBC iPlayer. You can download the videos but that option is also available for limited time. It seems like a ridiculous approach but this is how BBC iPlayer chose to live stream and you cannot do anything about it. BBC iPlayer VPN not only allows you to watch it outside UK but it also helps in fulfilling the bandwidth requirement. BBC iPlayer needs high bandwidth and if you lack in this department, you will receive a message “insufficient bandwidth to stream this programme”. Most BBC iPlayer VPN service providers are aware of this prerequisite and provide packages accordingly. To watch BBC iPlayer in USA, all you need to do is to sign up for any of the above-mentioned VPN, and it will give you access the amazing library of BBC iPlayer. We recommend you to choose the VPN wisely as speed and compatibility has much to do with the performance. Why these BBC iPlayer VPNs are the Best? You have all the rights to question our judgment as to why we chose these 5 as the best BBC iPlayer VPN service providers. Well, following description will serve as an introduction to each BBC iPlayer VPN and contains reasons why they can do the job. Express VPN for BBC iPlayer has servers in more than 94 countries, including UK. The ultra-fast speed of Express VPN ensures smooth video streaming, which is a must for any BBC iPlayer VPN. In addition, you will fall in love with the iPhone and Android apps that will allow you to watch TV on the go. You might have a bit of problem with the pricing packages as they are expensive but such quality of service comes at a higher cost. 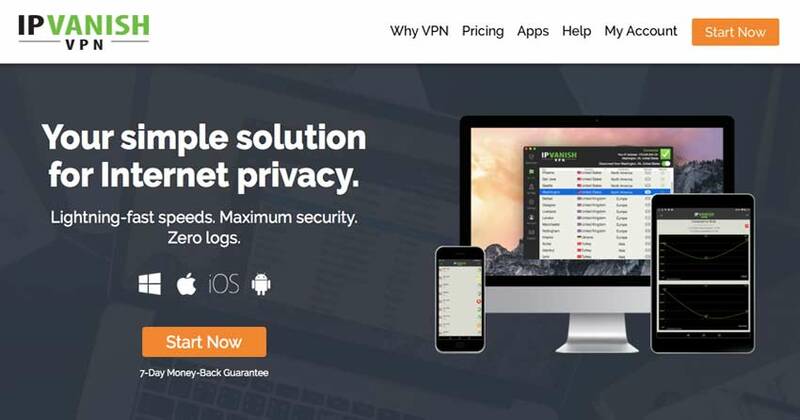 Nord VPN offers double data encryption. It allows unlimited speed and bandwidth which prove to be perfect for online streaming to watch BBC iPlayer. Nord has no logs policy. This BBC iPlayer VPN has more than enough servers in UK. Nord has a professional team of customer service. We tested and tried it for various purposes and queries and the customer support gave us satisfactory response each time. In addition, Nord offers various payment options including BitCoin that ensures your anonymity. 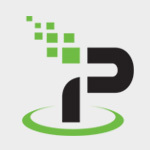 IPVanish has VPN servers in UK and many other countries. We checked its speed for online streaming and IPVanish passed the test with flying colors. This BBC iPlayer VPN is based in the USA so if you are looking for a combo of online privacy plus streaming then it might not be a good option. Other than that, there are no flaws in IPVanish. The customer support team deserves a special mention here as they go out of the way to help and assist. Safer VPN is very user-friendly. It has a client software that’s easy-to-install and use. The smartphone apps are on point as well. The speed test was also fine. We didn’t experience any lagging or interruption while watching BBC iPlayer. 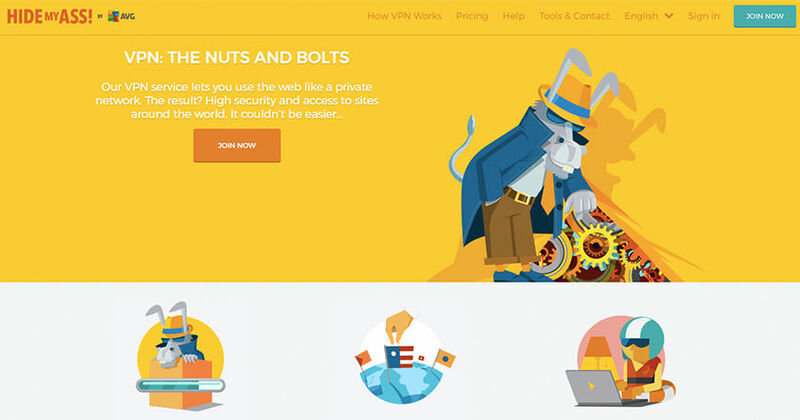 Of course, Safer has VPN servers in UK. But Safer doesn’t have a killswitch, which is a downside since this feature is important and provided by most BBC iPlayer VPN service providers. Anyway, we loved its streaming capabilities and Safer is a recommended option. The biggest advantage to choose HideMyAss to access BBC iPlayer is that it’s headquartered in UK and is also backed by one of the biggest antivirus companies, AVG. HideMyAss is an excellent choice for anyone who wishes to access BBC iPlayer outside of UK to watch their favorite shows because it has ample servers in UK to let you stream BBC iPlayer online smoothly. 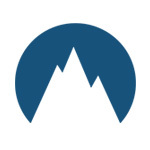 We have ran several test ourselves and find HideMyAss to be a pretty decent VPN service provider in terms of pricing, speed, security and anonymity. So, with the span of hundreds of servers in 190+ countries, HideMyAss is a perfect choice if you wish to watch BBC iPlayer online. Note: This list is based on our testing results of various VPNs to watch BBC iPlayer outside UK. Although these VPNs work fine to penetrate BBC iPlayer geo-restriction, we claim no guarantees that they will continue to do so forever. 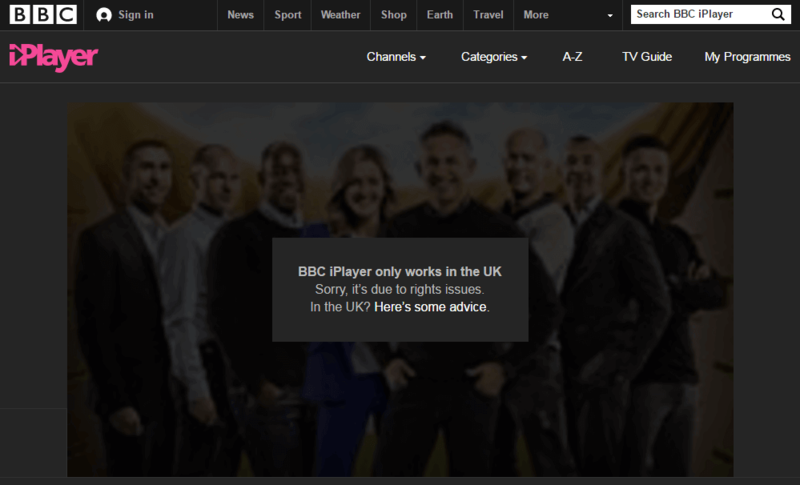 How Can I Watch BBC iPlayer Abroad For Free? If you wish to stream BBC iPlayer outside UK for free – there are a few free VPN options also that will give you access to the channel. However, we don’t recommend the use of free VPN to watch BBC iPlayer abroad. 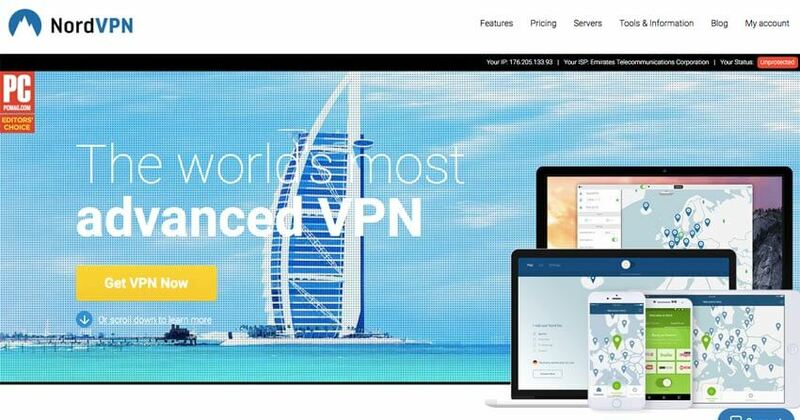 The reason why we prefer to go with a premium VPN is because free versions come with limitations. As a binge watcher, we know that limitations kill the entertainment, and that’s what we’d never want, right? 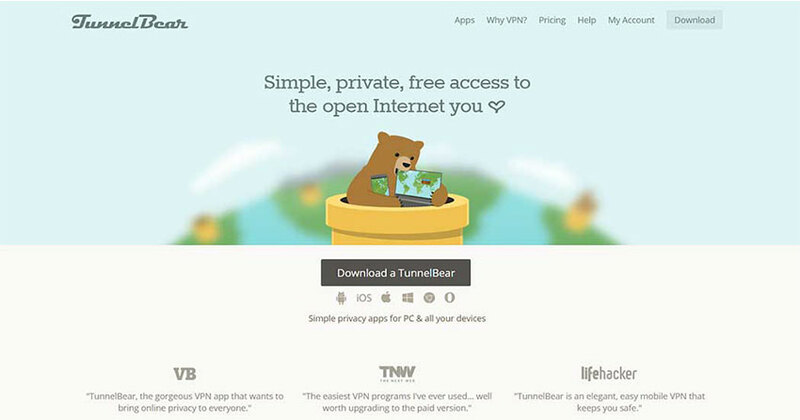 Among all, we recommend TunnelBear VPN as comparatively the best free VPN option to stream BBC iPlayer from abroad. It is clear that you need a BBC iPlayer VPN to access the entertainment channel online in the non-UK region. Unfortunately, it is not that simple. With BBC iPlayer trying to limit the illegal access, it is crucial that you pick the right BBC iPlayer VPN otherwise you will end up wasting your money. Thank Goodness, you don’t have to do the arduous job of researching since we have mentioned all the BBC iPlayer VPN service providers here that work for sure.